Gov. 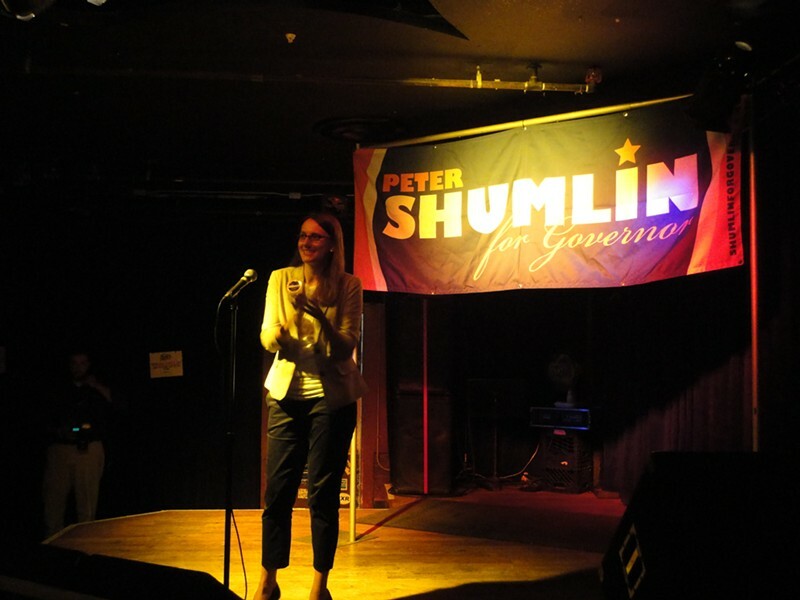 Peter Shumlin capped off his first official day on the campaign trail by touting his economic record to a rowdy crowd of supporters at Nectar's Monday evening. "We're growing jobs, we're delivering on promises to get tough things done, and we are making extraordinary progress to make this state a better place to get a job, a better place to make a living and a better place for our kids to prosper," Shumlin said. After spending the summer putting off questions about his long-running campaign for reelection, the governor finally embraced his status as a candidate Monday, touring the state from Bennington to Rutland to Burlington. At Nectar's, he found a welcoming reception from cabinet secretaries, legislators, staffers and donors. In a 17-minute speech, Shumlin outlined the achievements of his first term and goals for a second term while hammering Republican opponent Randy Brock's health care plan. Though much of his speech focused on the brewing debate over competing health care plans — a debate the incumbent appears to relish — Shumlin told Seven Days afterward that his campaign would be squarely focused on selling his economic record. 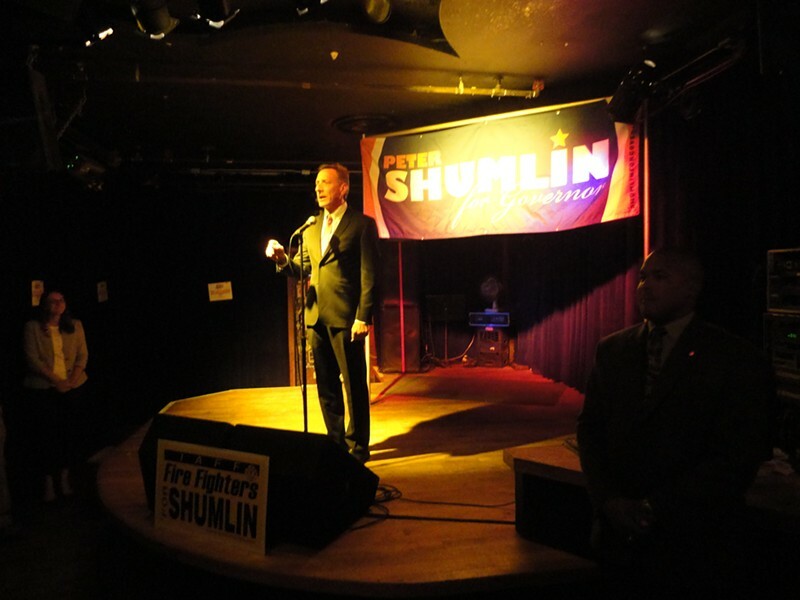 We'll have more on Shumlin's campaign kickoff in Wednesday's Fair Game. For now, we leave you with a video of the governor's speech and some photos from the event. Rep. Jill Krowinski (D-Burlington) introduces Shumlin. Burlington Mayor Miro Weinberger introduces Shumlin.